What are we thankful for? Our customers! Refer a friend, make money. It's that simple. Create an account at NCCPT.COM, if you don't already have one. Tell your friends to enter your email address when they create their account and you’ll receive 10% of all their sales. You can easily do this by sharing NCCPT offers through your website, Facebook and other Social Media pages. (Some restrictions apply, see Terms and Conditions for more info). 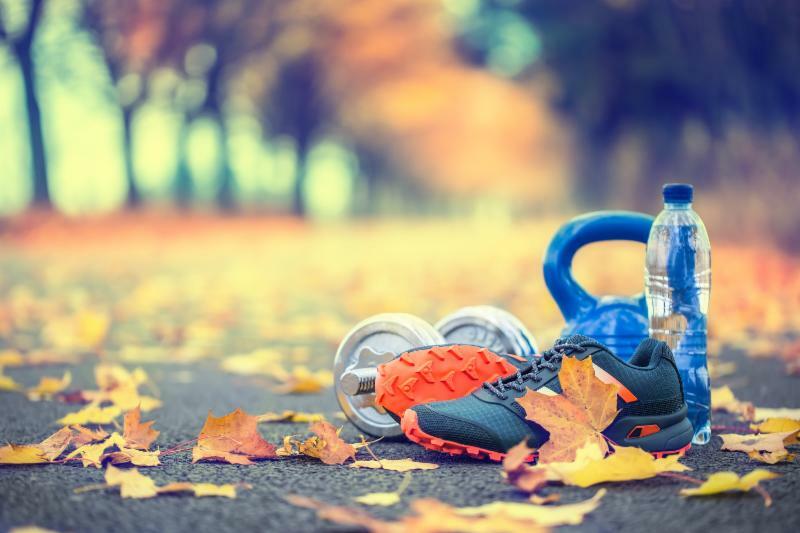 This event is a game changer as you will no longer be guessing what works and what doesn't... which is why they named their software the What Works® Custom Nutrition Software™ , you can follow their philosophy, or plug in "What Works" for you! 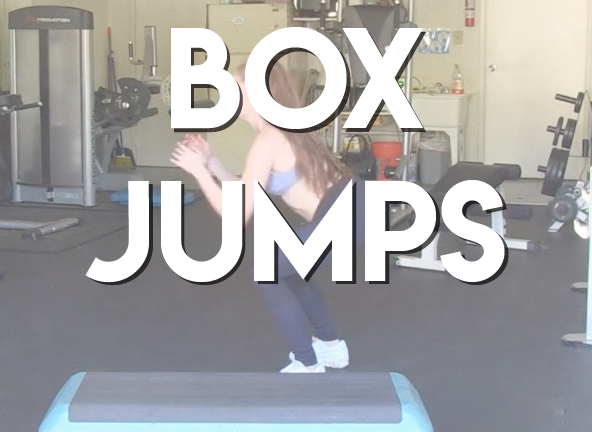 Check Out the Box Jump! In the wake of social media, distraction and lack of self-awareness, no age group is exempt from this epidemic. Luckily for her clients, Wendy Gaines offers more than just personal training. Looking for a new opportunity in 2018? Every month well known chains ask us for lists of trainers looking for employment! If you want prospective employers to start contacting YOU vs browsing the job ads log in to (or create!) a NCCPT Account. From your Dashboard go to My Profile. Complete the Trainer Profile section then scroll down and opt in to the NCCPT Trainer Employment Program simply by clicking the box! Click today and start receiving interview requests until you opt out. Employment has never been easier! Are you up for a challenge? 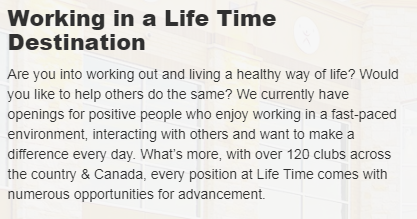 As a General Manager, you'll be responsible for the successful operation of a full-service Life Time Healthy Way of Life destination. You'll lead and support multiple revenue and non-revenue business units. You'll foster, motivate and support mission-minded team in a dynamic club environment, while developing lasting relationships with Life Time members. If you've got what it takes to succeed in this key leadership role, let's talk. 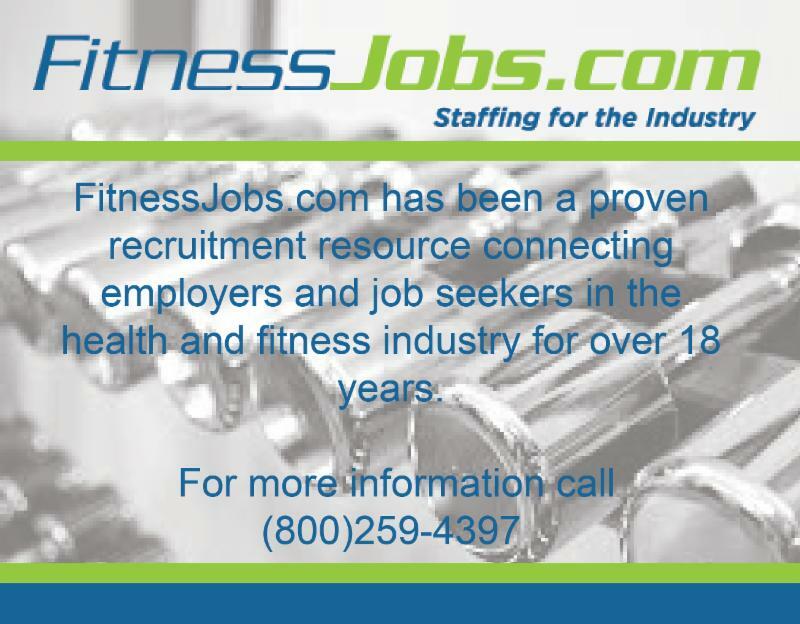 Now Hiring for all Fitness Positions.